These cabinets have foot operating system for touch-less opening of lids. 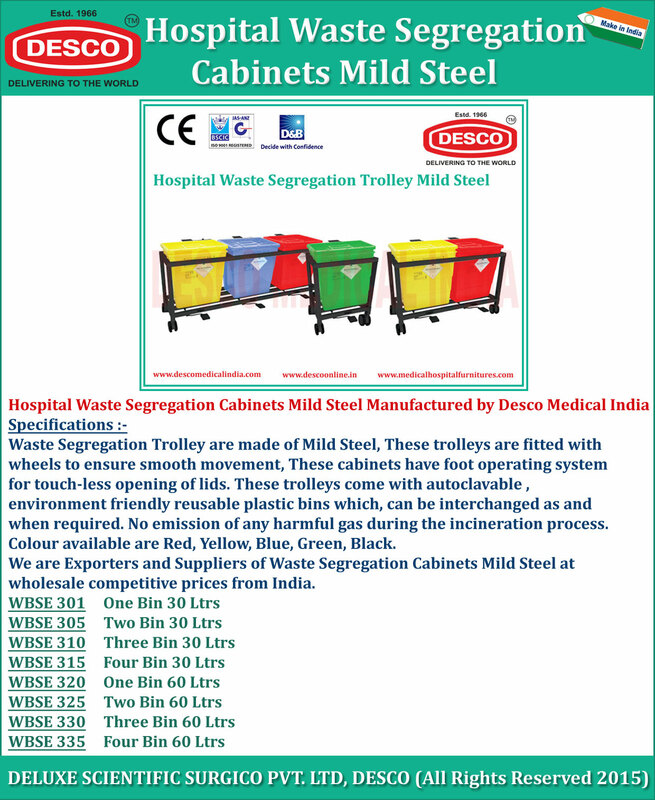 These trolleys come with autoclavable , environment friendly reusable plastic bins which can be interchanged as and when required. No emission of any harmful gas during the incineration process. Colour available are Red, Yellow, Blue, Green, Black.